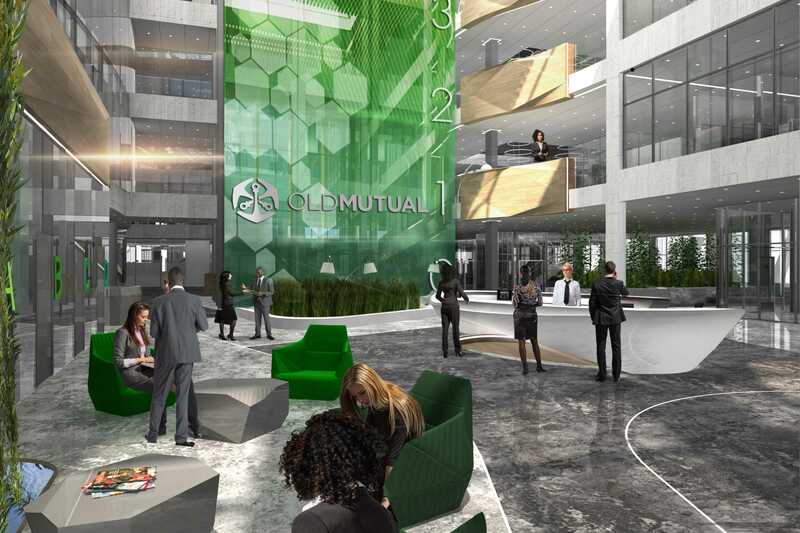 A design proposal done for Old Mutual to relocate from their current premises into new, purpose-built office space in Sandton. 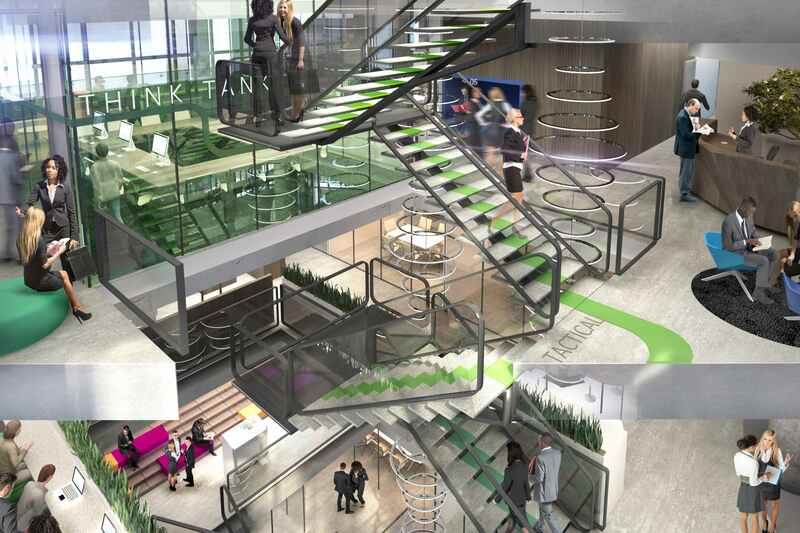 The new building was 12 storeys and approximately 30,000sqm in size, and would house 1,850 staff. The design strategy explored a change in direction from the client’s current cellular office environment to a more open plan configuration that would support a collaborative work environment. 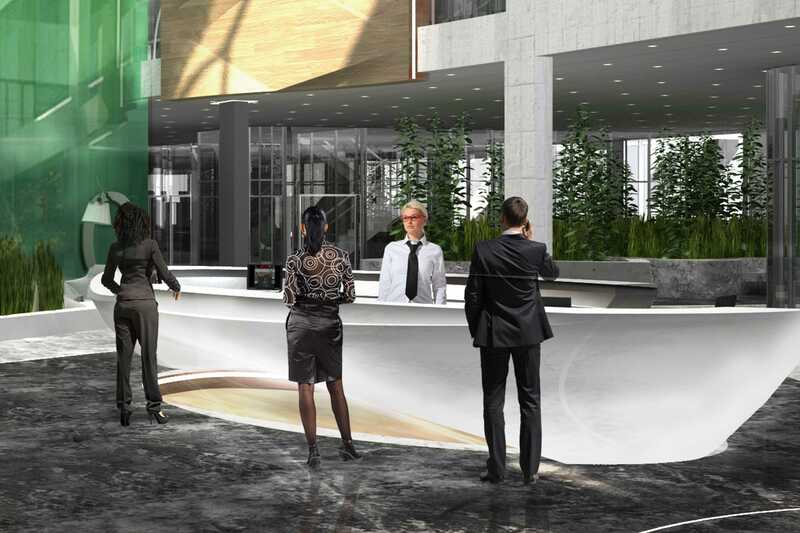 Spaces were designed to specifically enhance many different types of collaboration from quick evaluations to full day sessions. 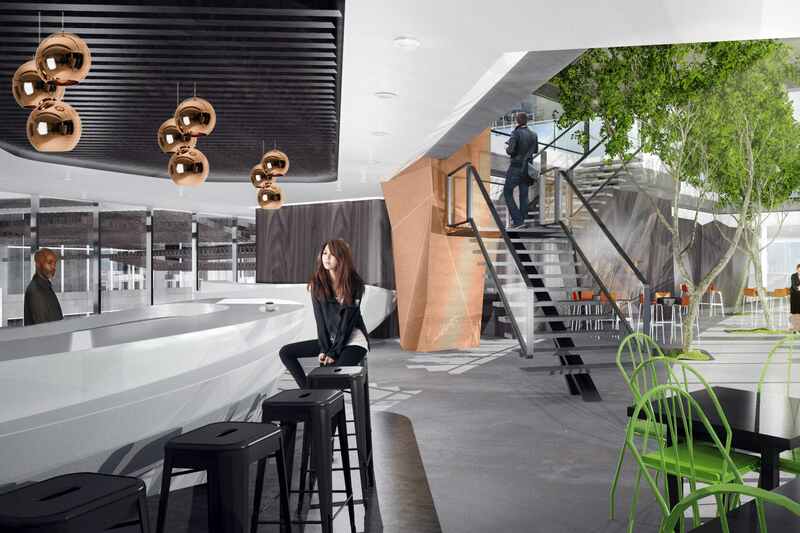 Strong themes of connectivity and fluidity were incorporated through the design of a vertical staircase situated centrally on the floor plate, facilitating the sharing of ideas and the creation of one culture throughout the business.